1.It is a necessary machine in the construction of road. 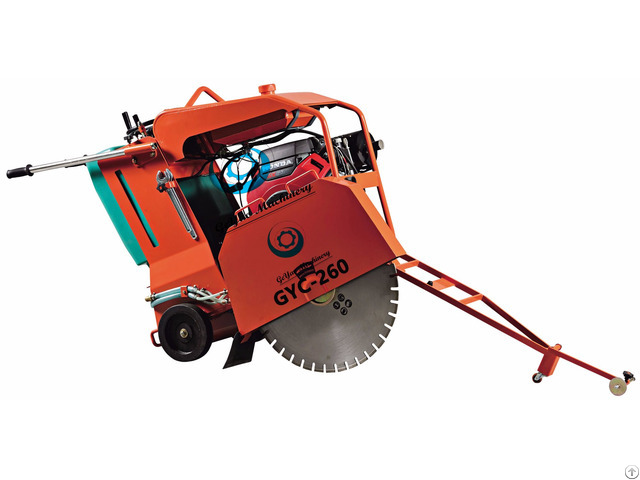 Super-rigid box frame ensures straight cuts while resisting warping and vibration-prolongs saw life; extends blade life. Height adjustment handle with comfortable grip handles, 4.Easy crank for raising/lowing cutting depth. 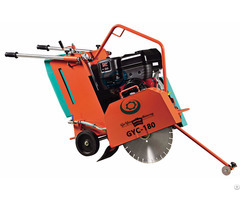 Hinged front lift-up blade guard is designed to provide easy blade replacement; easy-remove, rustless poly water tank provides an optimum flow and volume of water to the blade. construction, easy and flexible operations. 8.Using diamond film cutting, the cutting speed is quick, clean cut appearance, Along the guide rod, ensure accurate cutting direction. 9.Water spray system design with unique, cooling and lubricating film cutting, prolonging the service life of the blade. 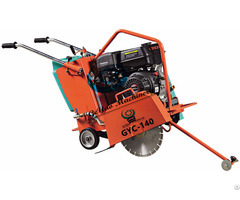 1.A variety of concrete, asphalt pavement, plaza stretching cutting. 2.Cutting for concrete, asphalt pavement repair project. 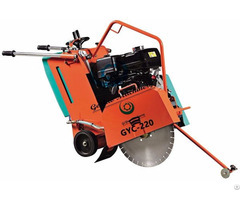 3.All kinds of concrete cutting and grooving. Business Description: Chongqing Geyao Machinery corporation is a large-scale industrial and trade entity,which serves the world’s business as an integrated exporter and manufacturer.The products we produce cover a wide range of construction machinery,building materials,lifting&rigging,wire rope,wire rope rigging,shipping machinery accessories.and other metal products. We pride itself on being a leader in both material manufacturing and process innovation,Just as crucial to this leadership is our commitment to environmental stewardship and sustainability, safeguarding our planet for our family and friends across the globe. We export our product to US,Europe,Australia,Southeast and Middle-east,Everyday our diligent staff dedicate their efforts to the customer throughout the world,to ensure to provide high-quality products and reliable service,which embodies our commitment to build value across the globe.just as this goal,we gained praise and good reputation from the customers,we sincerely welcome friends from the world to negotiate business and benefit mutually.Thanks for your patronage!